Home Burundi The 2015 elections in Burundi: towards authoritarianism or democratic consolidation? The 2015 elections in Burundi: towards authoritarianism or democratic consolidation? In this blog, Benjamin Chemouni looks at the prospects for Burundi’s 2015 election, and the future of the post-conflict settlement. Benjamin is a PhD candidate in the Department of International Development, at the London School of Economics and Political Science (LSE). His research explores the variation of state effectiveness between Rwanda and Burundi. The 2015 local, parliamentary and presidential elections will be crucial in determining whether the country is on the path of democracy or authoritarian consolidation. After the end of the civil war in 2005 and the victory of the rebel group CNDD-FDD (National Council for the Defence of Democracy and the Forces for the Defence of Democracy), democracy and stability seemed closer than ever before. Since the end of the war, two elections have been deemed relatively free and fair, although far from perfect. Burundi’s new constitution also contains the formulae for a meticulous consociational division of power, which allows a minimum of ethnic, gender and political pluralism. Such arithmetic is at the heart of the successful transition. Constitutionally, the government and the national assembly must now be 40% Tutsi, and 60% Hutu and must include 30% women. Any political party receiving more than 5% of votes is entitled to a ministerial post. The two vice-presidents must be from different ethnic groups and political parties. Ethnic quotas are also used in the composition of the senate, the army, and local governments. Such a system has been a crucial security guarantee in the post-war order for the Tutsi minority, which had dominated the state institutions since independence through the party UPRONA (Union for National Progress). This heritage is, however, increasingly under the attack of the ruling party, the CNDD-FDD, as explained previously on this blog. Their hold on power was facilitated by the opposition’s boycott of the 2010 elections. Since 2010, the ruling party has increased its efforts to close political space across the country. A law passed in June severely restricts media freedom. In addition, the ruling party has not been afraid to imprison journalists or kill members of the opposition. The most worrying development, however, is the government’s recent attempt to revise the country’s constitution. This is especially alarming for two key reasons. Firstly, revisions would eliminate restrictions on the number of terms an individual can serve as president, conveniently allowing the incumbent President, Pierre Nkurunziza, to go beyond the current two term limit (1). Secondly, revisions would directly challenge the consociational power-sharing system agreed on at Arusha. Under the current draft revision of the constitution, a political party would need 5%, instead of the current 2%, to be represented at the national assembly. The two vice-presidents would also be replaced with a single, weaker vice-president. This is worrying as a powerful first vice-president, ethnically different from the President, serves as a guarantee for the Tutsi minority that they will retain influence in the executive. Finally, laws would be passed if a majority of 50% and 1 vote were reached, whereas today, in order to foster consensus, 2/3 of the vote is needed. These changes would thus promote a majoritarian democracy over the current consociational democracy. This evolution is dangerous in the context of the long deeply divided Burundian society. At present, it is unclear whether the constitutional revisions will be adopted. On one hand, the ruling party is determined to cement its power and allow its “champion”, the current President, to run again since no other figure has emerged in the party and Pierre Nkurunziza’s populist talents are of great use. The weight of the CNDD-FDD in both the national assembly and the senate would, technically, make such a change relatively easy. On the other hand, civil society, the opposition, and even the powerful Catholic Church are united in their opposition to the proposed changes, which means that the CNDD-FDD are alone in trying to promote the revision. Even the UPRONA, party not in the opposition, has announced its attachment to the current constitution, which apparently cost the president of UPRONA as well as the First Vice-President of the Republic (UPRONA as well) their respective seats. 2015: any real chance to challenge the ruling party? The opposition is currently in bad shape, and further weakened by the constraints it faces from the ruling party. Most opposition parties have joined together to form the ADC Ikibiri (Alliance of Democrats for Change), born during the 2010 elections. However there are manifold problems with this alliance. The first question is whether the ADC Ikibiri can accommodate the multiple, powerful egos and unite behind a single candidate for the 2015 election. A second question is whether they can create a political platform that speaks to the concerns of the vast majority of the population, such as the increases in the cost of living. Thus far, it has largely been preoccupied by demands for fostering political dialogue and preparing for the 2015 elections. 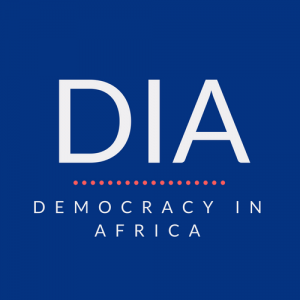 Therefore, the alliance appears as a coalition of urban intellectuals, whose discourse is directed toward civil society and the international community rather than voters. Another handicap of the coalition is that it does not include what is maybe the most serious contender to the CNDD-FDD: the FNL (National Liberation Front). The second most important rebel group after the CNDD-FDD during the war, the FNL retains popularity in rural areas. However, the FNL is still divided between its current president, and its historic leader, the charismatic Agathon Rwasa, who hid for 3 years for fear of arrest by the government until his return in 2013. The party also suffers from an ideological void: the FNL is the heir of the Palipehutu (Party for the Liberation of the Hutu People), founded in 1980, which has long been the main Hutu political party and whose political demands were based on ethnic lines. In the current situation where power is held by a Hutu-dominated party, such ideological positioning is less relevant. However, whilst the party rarely resorts to ethnicity today, it has not articulated a new ideological discourse. In addition to their internal difficulties, the opposition suffers from the CNDD-FDD strategy of restricting access to rural areas. This is achieved by constant intimidation of the members of opposition parties, creating hurdles at a local authority level for those seeking to organise political rallies, and so forth. At the national level, the ruling party also try to thwart any potential serious challenge. A vivid illustration is the recent attempt to discredit one of big names of the coalition, former ex-Vice President and member of the FRODEBU (The Front for Democracy in Burundi), Frederic Bamvuginyumvira. Reputed to be incorruptible, he was imprisoned as a result of what seems an unsubtle set-up by the authorities. In contrast, the populist strategies of the current president, and the CNDD-FDD’s persistent efforts to penetrate deeper into the countryside have been a success. Maybe less visibly, the CNDD-FDD has also become a huge patronage machine. Access to most state jobs in Burundi now hinges upon membership to the party. But this is often not sufficient: to demonstrate political loyalty, money usually has to exchange hands. For example, to become a teacher, the candidate often has to pay several months of salary upfront to the party. The goal is twofold for the CNDD-FDD: put loyal people into all positions in the state and generate income. In this context, the transfer of power, although not impossible, is very unlikely. Some even fear that a defeat might lead the CNDD-FDD to take up arms again. Whether or not this is realistic, it certainly incentivises the population to keep voting for the CNDD-FDD, and the party in the countryside distils this fear. The best – or least bad – scenario might be a victory for the CNDD-FDD, by a small margin. This scenario is possible because the legitimacy of the CNDD-FDD, although still prominent in rural areas, has started to erode. The population particularly resents the deplorable economic situation of the country, especially against the backdrop of rampant corruption. The growth of GDP per capita since the end of the war is almost nil, and inflation is galloping, averaging 18% in 2012 (source: World Bank). A limited victory would allow the opposition to put a check on the CNDD-FDD’s predatory tactics and their efforts to monopolize power. This situation might also undermine the party’s current cohesiveness based increasingly on institutionalised corruption and clientelism. It would give a voice to the significantly important, but silent, category of party members exasperated by the rampant corruption and by the evolution of the CNDD-FDD into a party-state, precisely what they fought against at the time Burundi was ruled by the Tutsi-dominated UPRONA. Finally, by allowing increasing political plurality in the institutions, a limited victory for the CNDD-FDD would revitalize the consociational model elaborated in Arusha and currently under attack. This scenario of limited victory for the ruling party requires two crucial conditions. Firstly, the opposition must not only stay united but also endeavour to reach the rural population, both ideologically and physically. Secondly, the ruling party must not be allowed to rig the elections. The role of the international community will be crucial in deterring fraud given its leverage on the government as provider of international aid, which Burundi desperately needs. Given its soft stance on the various scandals and authoritarian manoeuvres in Burundi to date, such support cannot be taken for granted. (1): There is some confusion when it comes to Nkurunziza: as he was first elected president by the parliament in 2005, and not by direct popular suffrage, in accordance with the transitional arrangements, it has been argued that his first term should not be included in the current term limit. Such argument, if legally sound, remains far-fetched as it contradicts the Arusha agreement that clearly stipulates in article 7 that no one can be president more than twice. Very good article and very good analysis of the current situation in Burundi from Mr Chemouni . Only it must be mentioned here for us who live in Burundi the situation is that the situation is very critical and it apprente following a logic to the extremism from the ruling party the CNDD-FDD and president Mr Republic Nkurunziza seems desperate to get reform our young constitution of Burundi from 2005 Arusha agreements to allow Mr Nkurunziza to seek a 3rd term. For telltale signs that climate intolerence are visible, the instrumentalisation of youth Imbonerakure the ruling party that act as a militia to intimidate and disrupt the activities of the opposition, a private radio affiliate to the cndd fdd spread hate like the infamous radio Mille Collines in Rwanda in 1994 and finally the use of the courts to silence opposition leaders in this case the imprisonment of the Honourable Frederick Bamvuginyumvira vice president of FRODEBU and limogage the lawyers ordred Me Isidore rufyikire chairman of the board of lawyers Bujumbura very critical to the gouvernement initiative for reform of the constitution. In this state of affairs it is important that the international community can get involved to benefit to save the democratic process and initiate reconciliation with the Arusha agreements to preserve peace and regionally levers exist for the international community here I mean of South Africa, Tanzania and Uganda who have contributed significantly in the peace process. OMG.. please verify your facts. You are probably “informed” by people from the people from the opposition. They tried to sabotage the 2010 elections that they lost and they are trying again because they know that the CNDD-FDD is way too popular now. Listen, this is not about the current president Pierre Nkurunziza. The man does not even NEED to be candidate for his party to win ! That is how much they are popular. The people is happy with the current regime. What these people are trying to accomplish is taking the top spot by alternative means, because they simply CANNOT win. Niyo Samuel, what struggles are you referring to that PN faced? Anyone who wishes to stay in power over 10 years is greedy. Name one former president in Burundi completed over 10yrs! Here it go, Bagaza and Micombero: but what happened to those guys? Another person is Buyoya, but what did he decide to do-handover the power. If someone gave him even 10 more yrs, what difference would we expect from him? What he didn’t do in 10yrs, I don’t believe he can do in 5-10yrs. #peaceWeWant!